At $699, the NEC ME331W classroom and conference room presentation projector delivers a lot for the price. 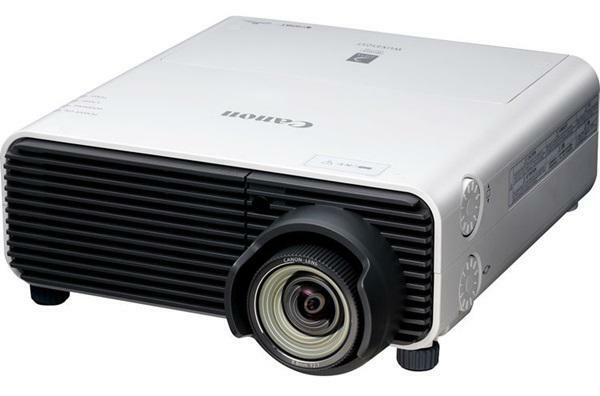 It's a 1280x800 projector, rated at 3300 lumens, with an array of features including a 1.7x zoom lens, 20-watt speaker, dual HDMI inputs, monitor loop-through, Crestron RoomView support, and a Dicom Sim picture mode. For the features and performance it is one of the least pricey WXGA projectors above 3000 lumens on the market. The only one that costs less is the NEC ME301W, a nearly identical model with a slightly lower brightness rating of 3000 lumens. The ME331W offers good enough color with even its brightest color preset so you can choose a mode based strictly on whether it has the right brightness for the image size you want and the ambient light in the room you want to use it in. This projector has seven preset operating modes. Of those, six of them--Presentation, Video, Movie, Graphic, sRGB, and even Dicom-Sim--all deliver vibrant images with solid reproduction of colors, from highly saturated to pastels. For data and graphics, the Graphic and sRGB modes offer the best color fidelity. The one remaining mode, High-Bright, the brightest of the seven--tends to make pastel colors in business graphics look washed out even though what you might think of as more full-bore colors look nicely saturated. Color balance isn't quite perfect in any mode, but it's good enough for most purposes, particularly in Graphic, sRGB, Dicom-Sim, Video, and Movie modes. A yellowish-green tint in the brightest shades is a little more noticeable in Presentation mode and more obvious still in High-Bright mode. But even in High-Bright, it's little enough to be a problem only for photos and other applications where color fidelity is particularly important. The ME331W also resolves detail well. In our tests, both white text on black and black text on white were crisp and readable at sizes as small as 7 points. Video. As with many 3LCD projectors built for classroom and meeting presentations, the ME331W does a reasonable job with video and film as well. Even if you need to use one of the two brightest modes, video and film are highly watchable despite the slight green bias. With Video and Movie modes, image quality is a match for 1280x800 and 1280x720 home-entertainment models. It also helps that the three-chip LCD design guarantees there won't be any rainbow artifacts. There is no 3D support. Presentation Optimized Lumens. For most data and graphics presentations, the Presentation Optimized setting is High-Bright without changes. At 3785 lumens, it's easily bright enough for a 150" 12:10 diagonal image in moderate ambient light. If your presentations include many photos, however, you may prefer Presentation mode instead, since High-Bright's slight green bias can be obvious in photos, particularly in skin tones. 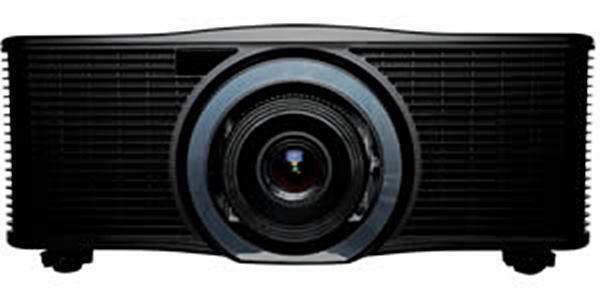 At nearly 3100 lumens, even Presentation mode is bright enough for a 140" image in moderate ambient light. Video Optimized Lumens. High-Bright mode, with its slight green bias, delivers good enough image quality to be watchable for extended film or video viewing. For best quality, however, Movie mode with a slightly adjusted contrast is our Video Optimized setting. It offers the best color fidelity and saturation, and the same brightness as with default settings. At about 2250 lumens, it's bright enough for a 120" image in moderate ambient light. Zoom Lens Effect. Setting the lens to the telephoto end of the 1.7x zoom curtails light output by only 9%. That's a far lower loss than with most 1.7x zooms. It's also little enough that you can all but ignore it when deciding where to position the projector. Brightness uniformity. The 77% measured brightness uniformity is low enough to see the difference easily in a solid white image. It's also visible if you look for it in some images-- like spreadsheets--that break up the field of view. However, it's uniform enough that most people aren't likely to notice it, and the vast majority who do will quickly accommodate to it. Color brightness. The ME331W's three-chip LCD design ensures that color brightness and white brightness match, so full color images are balanced and as bright as you would expect based on the ANSI lumen rating. Contrast. In a dark viewing room the black level on the ME331 is higher than typical, even for an LCD projector. This translates to a low contrast ratio and colors that look a little flat for video and film. However, this isn't a problem with the lights on since ambient light compromises black levels on all projectors. On the ME331 color and image vibrancy hold up nicely thanks to the high brightness. Fan Noise. The two Eco On settings--Eco and Normal--are rated at 29 dB and are audible as a faint hum from 10 feet away. Unless you're particularly sensitive to white noise, however, they're not likely to be bothersome even if you're as close as 5 feet. You probably won't want to sit right next to the projector though. With Eco off, the rating jumps to 36 dB and the sound quality adds an overlay of rushing air. It is easy to hear from 30 feet away and can be intrusive from 10 or 12 feet. With the default Auto setting, however, the noise level is usually lower, because fan speed varies with the internal temperature. At the level we heard in our tests, most people wouldn't find it annoying unless they were sitting closer than 10 feet. High altitude mode adds a high pitched whine and is easy to hear in a quiet room from 45 feet with no difference that I could hear between Eco Off, Normal, and Eco modes. NEC recommends using high altitude mode at 5500 feet and above. If you must use it, consider setting up the projector behind a false wall to deaden the sound. Input lag varies slightly, depending on the color mode, from 44 to 46 ms.
Lamp life. NEC rates the lamp at 4000 hours in Normal mode and 9000 hours in Eco mode. Replacement lamps are just $99. USA Warranty. The price includes a two-year parts and labor warranty with advanced replacement service for the first year. The lamp warranty is 1 year or 500 hours, which is much longer than the typical 90 days. NEC has different warranty program for the ME331W in Europe. The 1.7x zoom lets the ME331W throw a 140" 16:10 image from a range of roughly 12.75 to 21.75 feet. See the Projection Calculator, preloaded with the ME331W's throw data, to find the throw range for the screen size you want. NEC's website lists the ME331W as portable, a description it earns primarily from its 6.4 pound weight. However, it doesn't come with a carrying case, and at 4.3" by 14.5" by 11.5" it's a little large to carry comfortably on a regular basis except from room to room. It's most likely to be used in non-portable applications, with the best fit for the lens offset being a table or cart. With the projector sitting on a table, 85% of the image is above the lens centerline. So if you want the bottom edge of the image above the level of the table you may need to tilt the projector upward using the front foot extension. If you install it in a ceiling mount, you'll either have to use an extension drop tube or point it downward. If you tilt the unit you can use the automatic or manual vertical keystone adjustment to square off the image--by up to +/- 30 degrees for both vertical and horizontal keystone. The menus also offer four-corner and both left-right and top-bottom pincushion controls. As with any projector that uses standard high-pressure lamps, you should plan for the loss of lamp brightness over time--typically 25% in the first 500 hours of use, followed by a slower decline afterwards. If you want uniform brightness over the lamp life you can set the projector up to give you the image size you want with Eco mode, then move to Normal, and then Eco off as the lamp ages over several thousand hours. The ME331W's color quality is good enough in all color modes that you might also want to start with one of the lower-brightness modes and move to a brighter mode as needed. The good news is that lamp replacements are only $99, so it is not expensive to keep this projector running at or near peak lumen performance. Fan noise. The ME331W's noise level is typical for its pairing of size and brightness, and it helps that even with Eco off, the noise will generally be far less than its maximum level, depending on the projector's internal temperature. In a warm environment, however, the noise level with Eco off will be higher and may be an issue for applications that need a quiet projector. It will certainly be an issue with High Altitude mode. Limited portability. Although its low weight justifies calling the ME331W portable, it's big enough to be a little clumsy to carry. It also doesn't come with a carrying case, so you'll have to buy one separately if you want one. No 3D support. The lack of 3D support won't matter in most cases. If your applications need it, however, you'll have to look elsewhere. The NEC ME331W at $699 is a compelling choice for classrooms and conference rooms, particularly if you need the Crestron RoomView support or Dicom Sim mode. Even if you don't, the combination of a 1.7x zoom lens, conservative 3300-lumen rating, 20-watt onboard speaker, and light weight leave only a few 1280x800 models in its price range that can challenge it for value. Added benefits include a mere 9% light loss at the telephoto end of the zoom lens, much less than typical 1.7x zoom lenses, and a very low $99 cost to replace the lamp, adding to long term low cost of ownership. Despite minor issues with brightness uniformity and with a yellow-green bias in some color modes, the NEC ME331W delivers solid image quality for both data and presentations, and video quality that is easily watchable in all preset modes, and a match for low-end home-entertainment models in the best modes. In addition, although it comes without a carrying case and is a little large for a true portable, it's light enough, at 6.4 pounds, to carry easily from room to room or bring with you occasionally. It's also easy to bring home from the office to watch the big game or a movie. The NEC ME331W is the middle-brightness version of three near-identical triplets, with the 3000-lumen NEC ME301W costing a little less and the 3600-lumen NEC ME361W costing a little more. Check current prices for all three models and see which one gives you the price/performance ratio that best fits your needs.